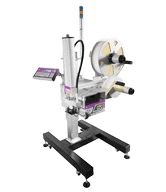 Markem Imaje Case Coding machine (print & apply labeller) builds on a proven concept that provides reliability, efficiency and ease of use for barcode labelling. 2200 Series builds on a proven concept that provides reliability, efficiency and ease of use. It gives you a wide range of interchangeable applicators (Tamp, Wipe, Blow and Corner Wrap), optimised operational intervention and an unparalleled application rate. A wide range of approved high quality thermal transfer ribbons for both flat and near edge printheads. 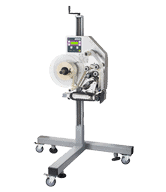 Our labels and ribbons guarantee print quality and long printhead life. The 2200 Pallet takes print and apply to the next stage of evolution, giving you optimized operational intervention and unparalleled reliability. The proven design delivers accurate, clear, crisp codes and 100% readable barcodes meeting GS1 (UCC-EAN) standards to enable superior visibility in the supply chain. 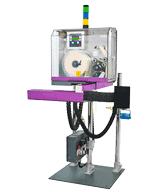 CimPak pallet labeling systems have earned a reputation for quality and reliability in the toughest of manufacturing environments.